We welcome guest writer Sam Webb to the PowerBlog with this review of If You Can Keep It: The Forgotten Promise of American Liberty by Eric Metaxas (Viking, 2016). 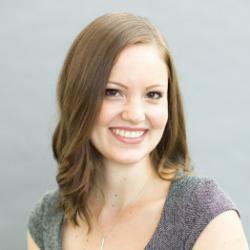 Webb is an attorney in Houston and studies at Reformed Theological Seminary. He also serves as an Associate Research Fellow for the Ethics & Religious Liberty Commission of the Southern Baptist Convention. Memorial Day weekend is the unofficial beginning of summer in America. School’s out for summer (in most places). The pools are open. The grills are hot. The ballparks are full. Memorial Day is also the beginning of the American liturgical calendar of patriotic feasts and festivals over the summer months, reaching its pinnacle with Independence Day. Memorial Day began as Decoration Day in 1868 to honor the fallen Union heroes of the American Civil War, a day set aside to decorate their graves and remember the “last full measure of devotion” given by these men. There was, of course, competing memorials in the former Confederate states. For instance, a group of women in Columbus, Mississippi, gathered in April 1866 to decorate the graves of Confederate soldiers killed at Shiloh. Over the years, as the memories of the war pitting brother against brother faded in the national memory and international wars brought brothers to fight alongside one another, the memorials celebrated veterans of all American wars. In 1971, Congress officially declared the last Monday in May a national holiday, a day to remember that the American Union is kept by great valor and courage. That main argument runs as a thread through the seven chapters of Metaxas’s book, which offer insight into the promise of America, a call to hold fast to the promise, while also casting a vision for a promising American future. Metaxas reminds the reader in Chapter One of the fundamental “idea of American liberty, which might also be called self-government.” This is the promise of America. 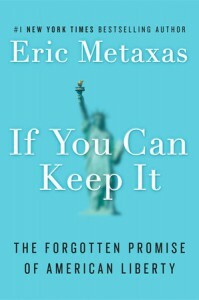 In order to best keep the American promise, Metaxas prescribes that Americans “behold ourselves afresh” and perceive the strangeness of American liberty in political history. Metaxas offers instructive insight in Chapter One when he contrasts the liberal and conservative misunderstandings of freedom. For the liberal, he writes, “American freedom is when freedom – or liberty – is confused with [moral] license.” For the conservative, however, the false hope is that an American understanding of liberty and self-government is the natural condition of mankind. Both of these are misunderstandings, Metaxas argues, because the liberal does not reckon with moral reality and the conservative understates the need for supporting structures of self-government. Further, the inherited experiment of American liberty has “nothing to do with jingoism and nationalistic chest beating” — contra current political zeitgeist — but rather all to do with the goodness of the people called Americans. Metaxas persuasively argues that self-government – American liberty – is not only a civil government concept, but is primarily a matter of personal ethic. “True freedom must be an ‘ordered freedom’” and this ordered freedom grows from the bottom-up, a culture to a government, rather than from the top-down. In a secular age, the idea that freedom requires virtue and that virtue requires faith is not well-received. But, the liberal misunderstanding of freedom–freedom to moral license–disintegrates the virtuous anchor of the Golden Triangle. A lack of virtue leads to a greater need for masters. Metaxas fills the pages of this book with quotes from America’s founders making this point, a point lost on the majority of Americans today. To poke the bear even more, Metaxas argues that virtue requires faith, or more explicitly, religion. The root of virtue in a man’s life is his religion. Metaxas writes, “[Today], everyone seems to know that helping the poor is important … or that slavery is wrong, or that being good stewards of the environment is important, but what we have completely forgotten is that these ideals all stemmed from the Judeo-Christian tradition in the West. We seem to think that whatever virtues we do possess arose by themselves. History shows this to be false.” False, indeed. 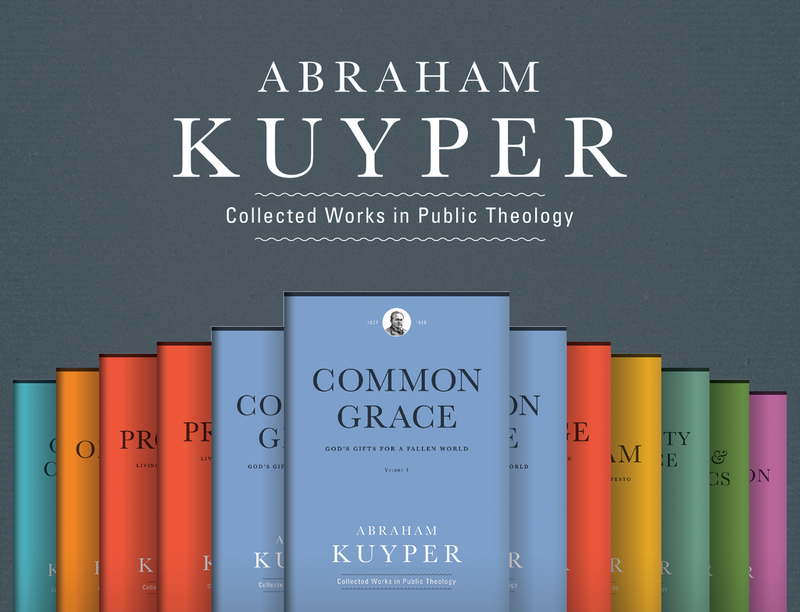 Humanity is incurably religious and the religious context that spawned American liberty was specifically a Judeo-Christian context filled with its moral imperatives. So, then, we come full triangle to freedom. Virtue and faith result in a self-governed people, a civil government constrained in its power because the people are governed by higher ideals and authority. Metaxas reminds us that faith and freedom are not bitter enemies, as thought in the 18th century France and 21st century America. Central to American freedom is religious liberty. Religious liberty, imperiled in various ways today, was the genius of the American founding. The founders recognized the federal government should not dictate dogma, but rather facilitate freedom of faith and practice. The civil government judges behavior, not beliefs. Religious liberty has facilitated a flurry of faith communities committed to their God which serve to reinforce the virtue and freedom necessary for our thriving republic all these years. Religious liberty is the American first freedom. “We the people” must resolve to protect this freedom for the good of our collective American soul. Metaxas turns in the middle section of the book to biography and storytelling. His prescription to the disease of a “forgotten promise of American liberty” is to venerate our heroes and remember our legacy. Specifically, he tells the story of George Whitefield, the 18th century revivalist who became the first American celebrity. Whitefield was known for his theatrical and fiery sermons, attended by the likes of Benjamin Franklin. Whitefield was, in a sense, the midwife of the American Great Awakening that formed the cultural milieu of the American Revolution. Awakened Americans shared a common, imperfect virtue rooted in Christian faith that contributed to the development of civil freedoms. Metaxas also highlights the necessity of moral leadership by examining the life of Abraham Lincoln and, interestingly, the British parliamentarian William Wilberforce. These men were marked, in different degrees and passion, by faith and virtue. We the people, according to Metaxas, must again require patient virtue, dignity, and sacred honor of our elected leaders. He wants us to remember the virtuous leadership of these men as examples for how to keep the republic. I am curious how Metaxas reconciles this call for moral leadership with the current cast of candidates for president. Overall, If You Can Keep It is a clear analysis of what made America great and what could keep her great. The mutual reinforcement of American freedom is the virtue and faith of the people. But, at times, the book ventures into a nostalgia that views the idea of America with such affection that the reality – and history – of America might get lost. Metaxas is, at times, given to hagiography and overgeneralizations. Remembering her as we wish will not make her what she need be. Metaxas’s diagnosis and warning befits the cultural moment, but I fear the prescription is lacking the moral heft necessary to, in fact, keep our great republic. If “we the people” are to pursue virtuous lives of faith, inspired by our legacy and heroes, to keep our republic, how can we cast votes en masse for presidential candidates decidedly opposed to virtue, faith, and freedom? My concern is that our fractured republic is given more to socialistic liberalism and jingoistic nationalism than Metaxas allows. But, perhaps I am too pessimistic. One of the great virtues of this book is the Reaganesque optimism, a hope for the future of the American republic that reveres its past and sees a promising future. To keep our republic, we need the spiritual revival of Whitefield, the leadership of Lincoln, and the mass virtue of a bygone era. Do we see this on our horizon? Maybe not. But, then again, as Metaxas reminds us, the promise of America is our promise to keep and we need to get to work.